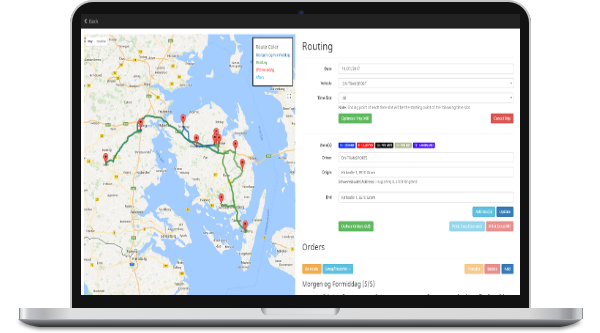 " EHB Montøren has since the summer of 2016 been working together with Pintu Software to get our own custom logistics system. Our goal with the software was to a large degree to optimize our daily work but in particular it was a decision to future proof our business. Pintu’s work method has been easy and straight forward. A developer from the company was on site for two days, where he observed and participated in our daily routines. The purpose was to get to know as many of our processes as possible. From there Pintu drafted a plan for how a system could look like and be developed and implemented. This was done process for process as well as in what stages it could be implemented in our daily work. From there we agreed on a development plan and in collaboration the process. We are working with a shared plan and the goals cover what we can expect in 2 weeks to 1 month, 3 months and 6 months. It is a manageable way, that gives us a good idea of what is being worked on and when we can expect a new feature or function and not least is it easy for us to see what we are spending our money on. We believe that, in the relatively short time, have developed a system that optimizes our daily work and very much have given us more time. We have gotten a far better overview of our assignments and customers, as well as our agreements with them. When there has been challenges, which there of course always will be in such a process, are we experiencing a very responsive willingness to solve the issues fast and professionally. This, across global borders, is when we email or when calling Pintu and their team. It has not yet happened that a bug has not been fixed within 24 hours. Furthermore, Pintu has shown a great understanding of our challenges. If a function or a design has been inappropriate or do not meet our user expectation has the team changed or redesigned this without any problems, to fit our needs. On the whole, has EHB Montøren benefited greatly from the cooperation and sparring we have experienced in order to optimize our business. Based on the above, is it clear that Pintu has become a important part of how we at ehbmontøren.dk are planning to digitalize in the years to come. We are looking forward to and have great expectations to the collaboration going forward. " 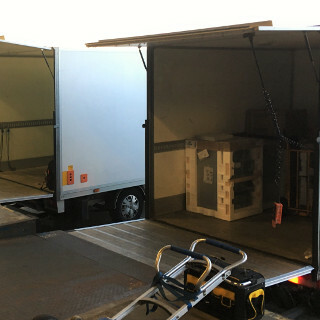 EHB Montøren has a very unique case in playing a role as a sub delivery and instalment contractor for home and kitchen appliances for the major as well as small retails and ecommerce sellers. Their case includes customers of different sizes and a key challenge was to find an affordable way of digitalizing the order stream. By looking at their current order flow, which primarily consisted of paper documents and PDF files, were we able to build algorithms that could snap the data from the paper files and place it in a SQL database. 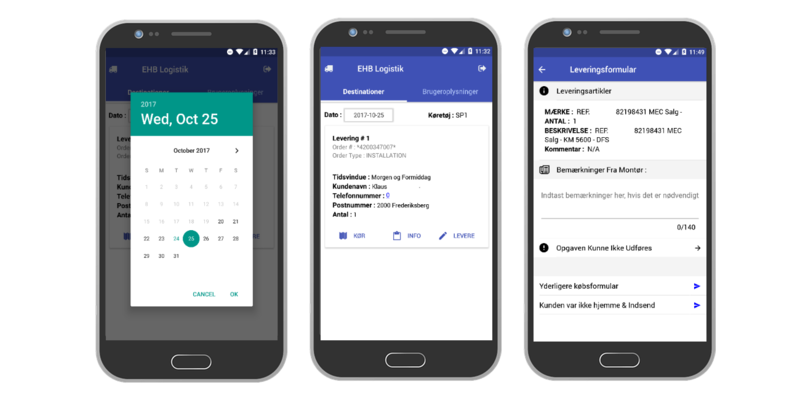 For a company like EHB Montøren, with a 20+ employees of whom most are drivers was it crucial to get started on a digitalization process to enable further growth. 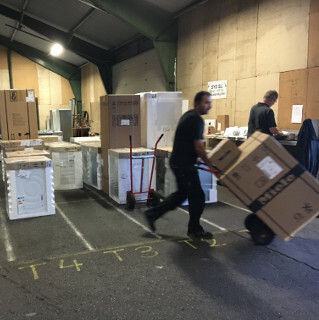 The problem for EHB Montøren with out of the box products was not only the fear of losing out on the high customer satisfaction they enjoyed but also not being able to get apply the product for all of their customers. 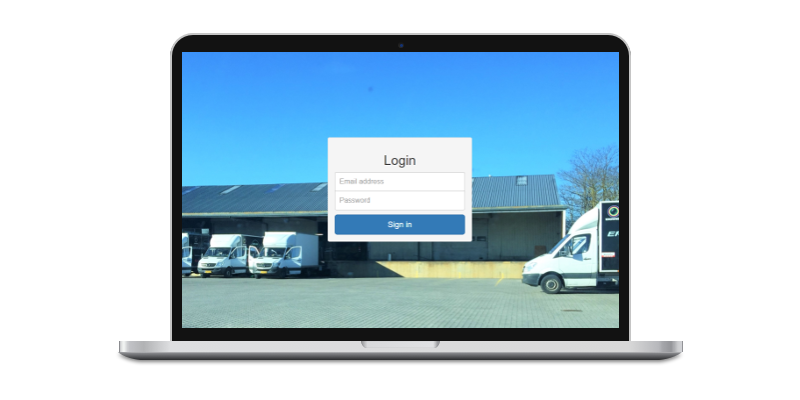 By offering affordable IT consultancy and not least giving EHB Montøren a chance to customize their own process and software were they able to keep their competitive advantage in customer satisfaction but at the same time gain more control over their information and data. Pintu helped digitize EHB Montøren’s processes and thereby give them an opportunity to grow further through our unique set-up mixing software development and consultancy with overseas resourcing and on-site process mapping.